Apple today announced it has agreed to acquire music recognition service Shazam, marking the company's highest-profile purchase since it acquired headphone maker Beats for $3 billion in May 2014. Apple did not disclose financial terms this time, but when TechCrunch broke news of the acquisition plans last week, one of its sources said the deal could be worth around $400 million. Shazam was valued at $1 billion in January 2015. Shazam is a popular service that can identify the name and lyrics of songs, music videos, TV shows, and more. The company has standalone iPhone, iPad, Mac, and Apple Watch apps, while the service is also built into Siri on iOS 8 and later. 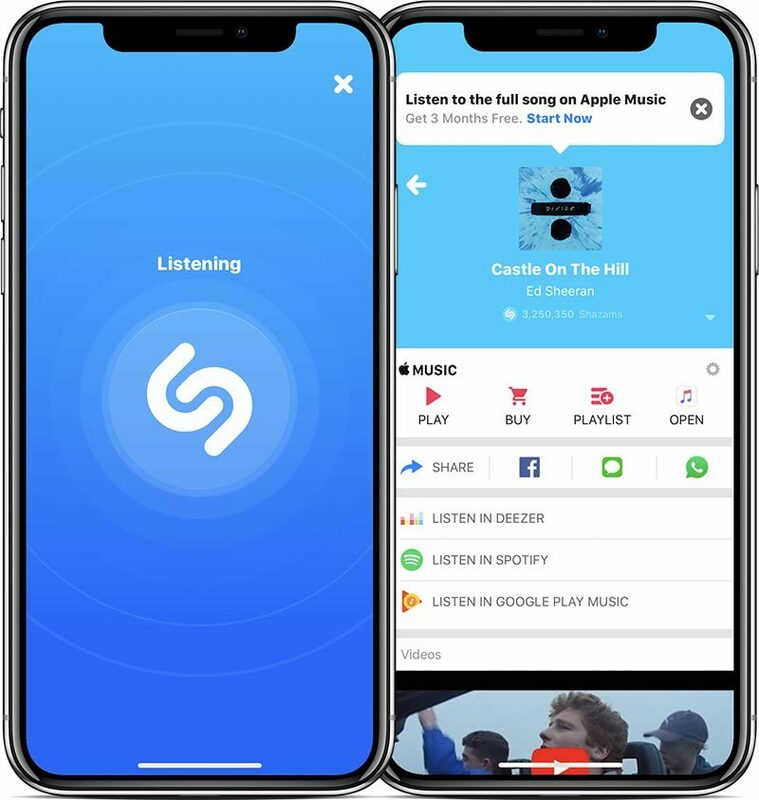 Shazam is integrated with Apple Music, allowing subscribers to identify a song and then tap to play it directly via the streaming music service. Shazam also has an iMessage app for identifying and sharing songs in the Messages app. Shazam isn't just a big part of Apple. The service is built into Snapchat, allowing users to recognize, discover, and share music with friends. In the app, simply press and hold on the camera screen to identify a song with Shazam. In September 2016, Shazam announced that its mobile apps had been downloaded more than 1 billion times since launching. Shazam released its original iPhone app when the App Store launched in 2008. Shazam's machine learning algorithms used to identify audio clips, and its augmented reality feature that enables users to discover content based on pictures captured with its app, could be valuable technologies to Apple. Apple said it is not disclosing further details at this time, so we'll have to wait and see exactly how it uses Shazam's technologies and talent. That's a rather odd take. What did Spotify do to you? Let's hope Shazam doesn't become another workflow. There’s nothing wrong with Workflow. This will hurt Spotify if they lose Shazam integration while giving Apple valuable IP and people resources to make Siri and Apple Music better. Good move for Apple. You'll learn one day, young padawan. Why on earth would you want this to be a death blow to Spotify? This is bad, because it's proof that Apple simply can't improve Siri without acquisitions. Based on my feelings about Apple over the last few years, I'm not sure how good this is for Shazam or how excited I actually am for this. MAY acquire. And yet we're already seeing people take the initial report and change it to say they ARE acquiring them. It's not certain at this point. Going by the article, they HAVE acquired Shazam.